The work towards ending such problems and fixing the leak starts with tracing the leakage to its exact source. This calls for accurate water leak detection in the Gig Harbor property conducted by knowledgeable, trained and well-equipped technicians. Since 2007, Clearwater Leak Detection has been helping people minimize their damages and losses from water leakages by providing professional services for water leak detection in Gig Harbor homes and commercial properties. 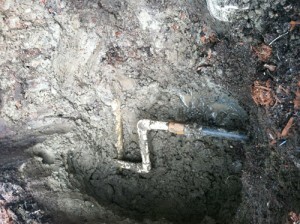 What are the Signs of a Water Leak in Gig Harbor Homes? The biggest problem in dealing with water leaks is difficulty in locating them. Since most plumbing pipes are hidden from view, installed underground or inside walls, how to find a water leak can puzzle Gig Harbor residents no end. That is why locating water leakage is not a DIY task, but a job for the experts. We should be called immediately for water leak detection in the Gig Harbor property as soon as any of these symptoms are observed. We are equipped to detect any plumbing or water line leak in residential and commercial properties. The leaked water tends to travel quite a distance from the actual point of leakage. 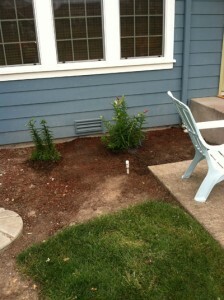 Therefore, the damp spot made by the leakage may be far off from the leaky plumbing or water pipes. This makes correct water leak detection in Gig Harbor properties quite a challenging prospect. 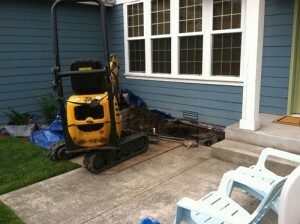 Call Clearwater Leak Detection at 206-686-9300 to have the plumbing/water leaks on your Gig Harbor property located.